This post contains affiliate links for your convenience. For full disclosure go here. There's nothing quite as magical as Christmas lights at night. I remember as a little girl I would lay on the floor almost underneath the Christmas tree and stare at the lights, dreaming of what Santa might bring me. And every year we would hop in the car and drive around looking at the outdoor decorations in our town. 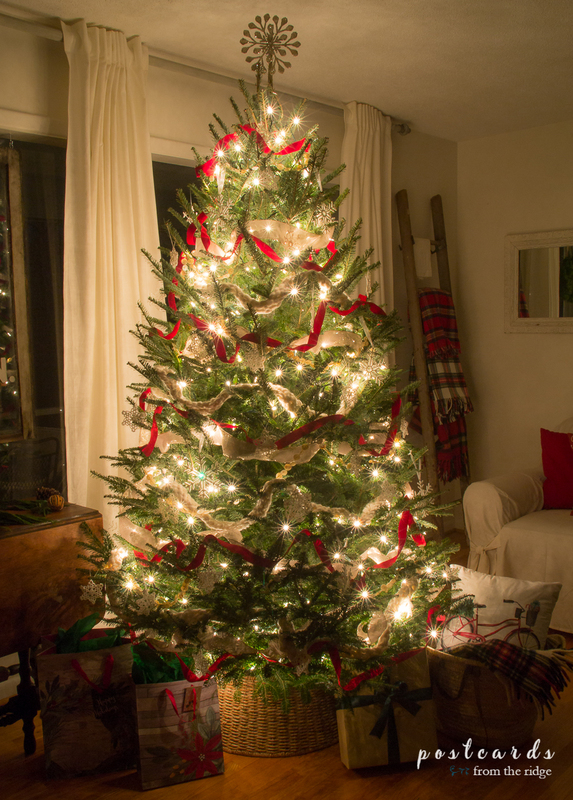 My favorite was always a giant spruce tree that had big colored bulbs. It was so tall that the fire department would come out and install the lights. Everyone in town loved it. As we drove around, some homes would have their curtains open, showing off their Christmas tree for all to see. It was fun getting a little peek into their homes and seeing their holiday lights and their decor. We still enjoy seeing the lights with our daughters. And one of our favorite nighttime holiday activities is the midnight Christmas Eve service at our church. It begins at 11:00 on Christmas Eve. The sanctuary is always packed. We sing traditional carols and hear the story of the birth of Christ from our pastor. At end of the service the lights are all turned off, everyone lights their candle, and we softly sing "Silent Night" by candlelight. And then quietly, we exit the sanctuary at midnight and head home for a few hours sleep before the activities of Christmas day begin. It's a beautiful service that we all look forward to and it brings tears to my eyes every year. 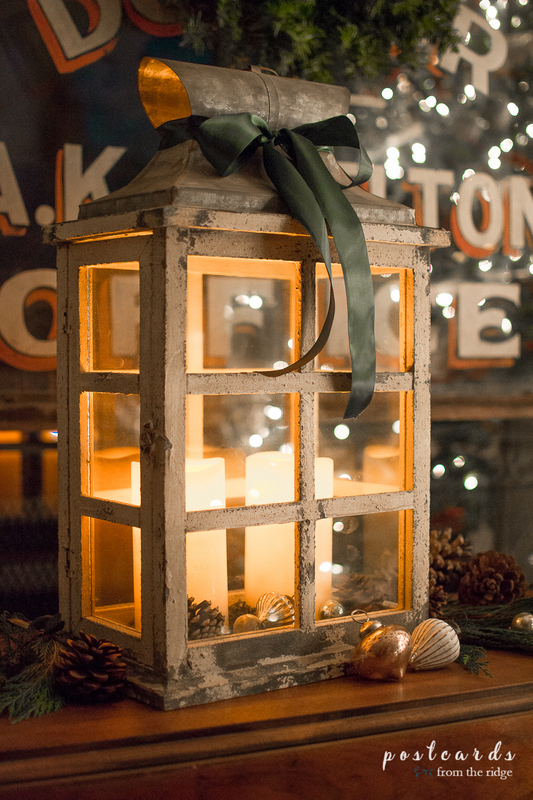 What are you favorite nighttime activities and memories of Christmas? Share yours in the comments. 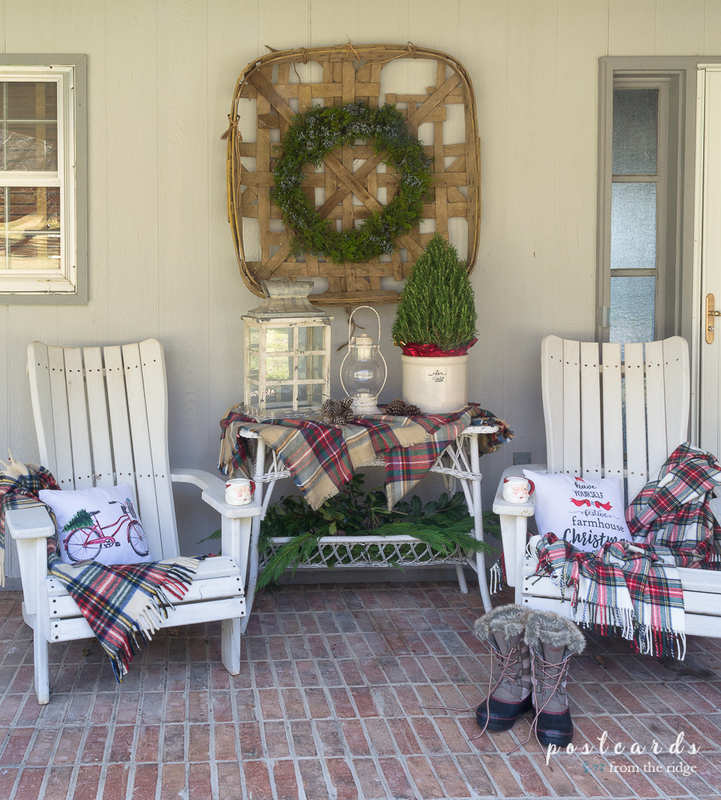 For our front porch plus outdoor decorating ideas from 12 home decor bloggers, go HERE. 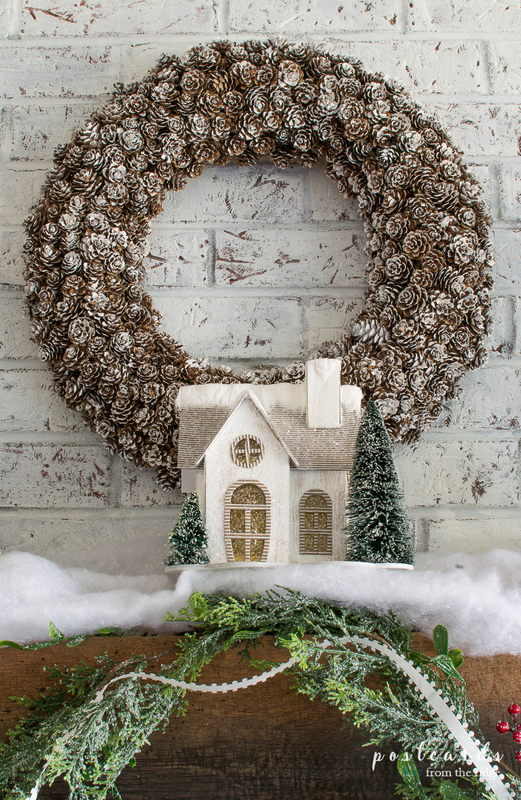 To see our snowy Christmas mantel and decor, plus ideas from 35 of your favorite home decor bloggers, go HERE. 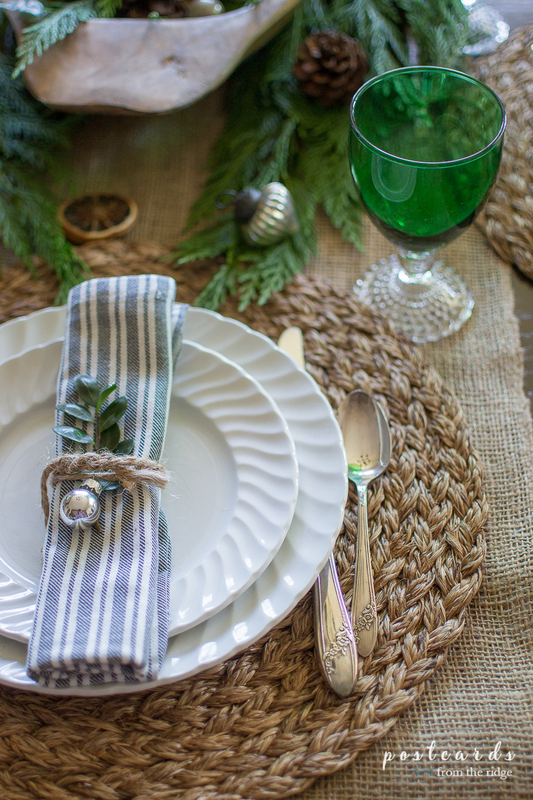 For ideas on setting a simple, natural, vintage Christmas tablescape, go HERE. 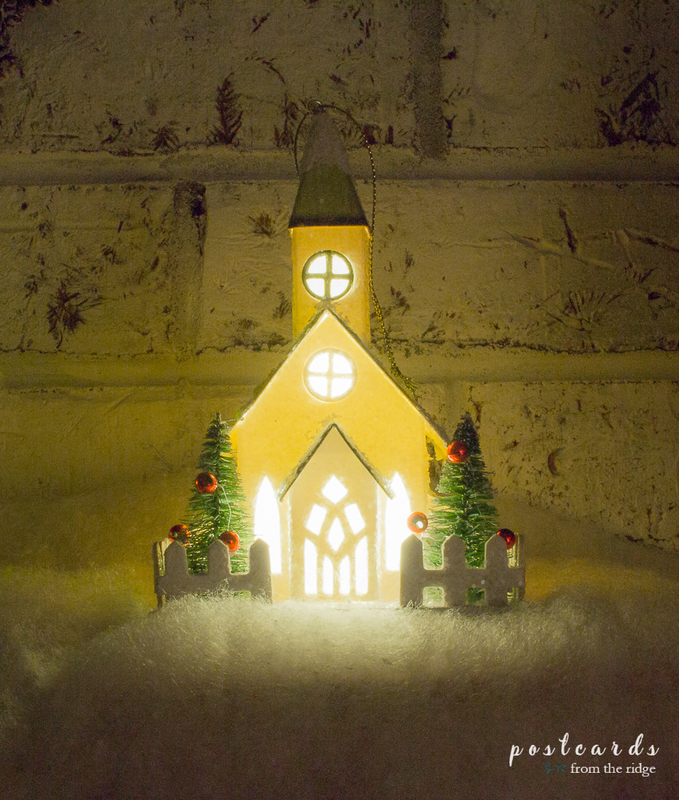 Your Christmas home looks gorgeous at night, Angie. Your photos and décor is gorgeous! 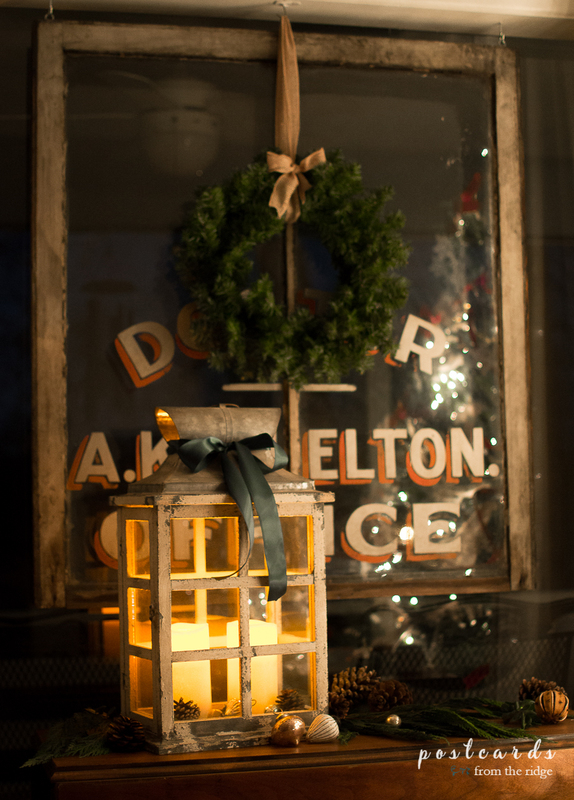 Night time is my favorite time for Christmas décor inside and outside. Yes, Christmas at night is the best! 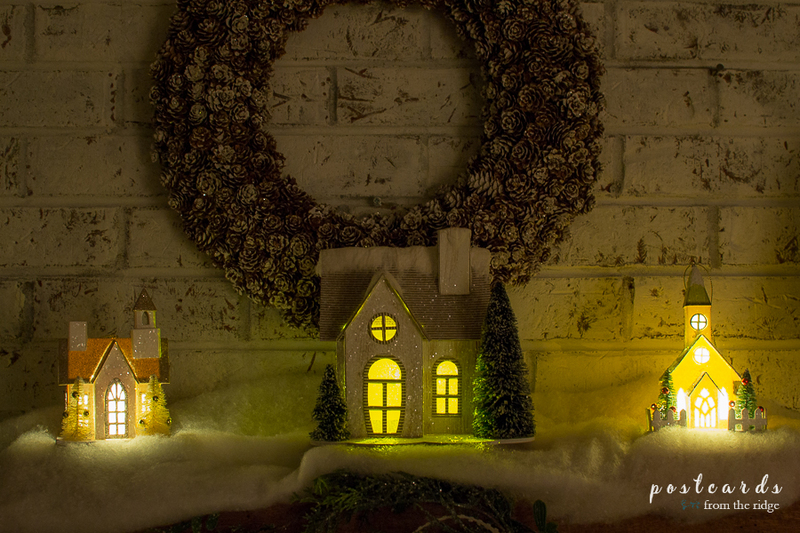 Your home looks wonderful all lit up! Memories are what is one of the wonders of Christmas, beautiful lights at night, driving around looking at lights and church services to help us remember what it is all about and last is our family watching them open the gifts and hoping they like what we picked and seeing the glow on their faces when we know we have made a good choice. I too love both your day and nighttime Christmas. You decoration is so fabulous, with a wonderful feel of sitting around the fireplace/Christmas tree, opening presents, drinking hot chocolate . Seeing the smiles on the kids faces as they open their presents. 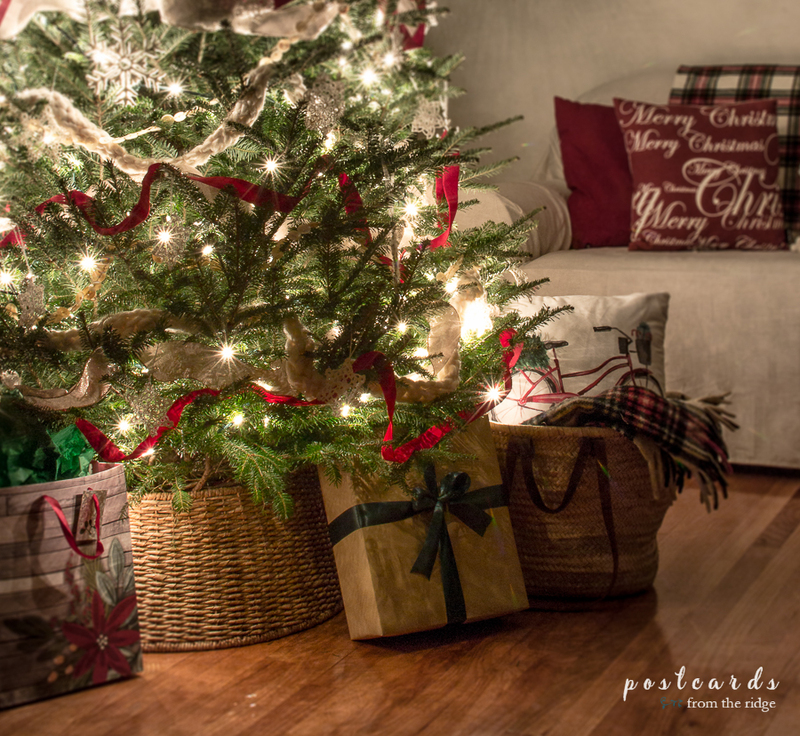 Your home truly brings out the spirit of Christmas. Thank you, and Happy Holidays.